ST. THOMAS, ON – Railway City Brewing has announced details of a new core brand that is being launched this week. Crew Craft Lager pours a golden straw colour with a thick, frothy white head. To the nose is an inviting subtle hop aroma. On the palate is a ready back bone ending with a refreshing, crisp finish. Crisp. Clean. Refreshing. For all the hard workers out there, this one’s for you. 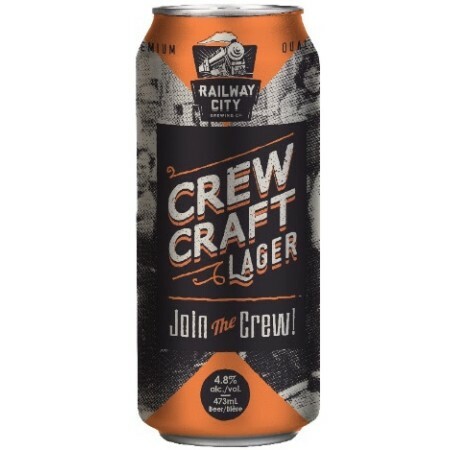 Crew Craft Lager will be launched at the brewery tomorrow (Thursday June 9th) starting at 7:00 PM. The $5 admission includes samples of the new beer and several other Railway City brands, including another new and extremely limited surprise beer. Spots can be reserved by emailing info@railwaycitybrewing.com or calling 519-631-1881.